This one-time fee (held in Tmall Global’s Alipay account) is used as collateral in the case of any damages or expenses incurred by Tmall Global or any customer as a result of merchants’ breach of the terms and conditions of the Tmall Global Merchant Service Agreement and other rules and policies of Tmall Global. Subject to merchant’s compliance of the Tmall.hk Merchant Service Agreement, the fee will be returned to the merchant upon termination of the Tmall.hk Merchant Service Agreement. Merchants opening any store type: Flagship Store, Flagship Store (Marketplace), Authorized Store, Specialty Store must submit the required $25,000 security deposit to operate via Tmall Global. Tmall Global reserves the right to deduct from the deposit an amount equivalent to the damages or expenses incurred by Tmall Global or any customer. Should the deposit be less than the required amount, the merchant must cover the difference within 15 days upon notice by Tmall Global. 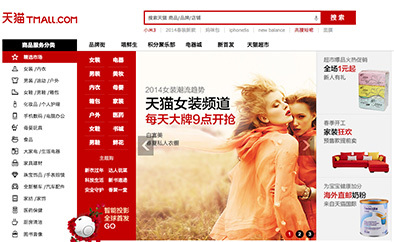 Should the merchant exceed the deadline, Tmall Global will suspend the store until payments are received. This fee is payable to Tmall GLobal yearly for services rendered. This fee is dependent upon the merchant’s registered primary category. Merchants applying for multiple categories will pay the highest annual fee of the categories they are operating. Note: Technical Service Fees charged by Tmall Global are exclusive of any taxes, duties or other governmental levies or any financial charges. Merchant shall pay and be responsible for any taxes, duties, governmental levies or financial charges for the use of the Services in addition to the Technical Service Fees. In the event that Tmall Global is required by any applicable law to collect or withhold any taxes or duties, Merchant shall pay any such taxes or duties to Tmall Global in addition to the Technical Service Fees.